WASHINGTON — As President Trump plans to announce his nomination to the U.S. Supreme Court next week, reports state that he has narrowed his preferences down to three judges from the federal appeals circuit: William Pryor, Neil Gorsuch and Thomas Hardiman. Some continue to express concern about the possibility of Pryor serving on the nation’s highest court due to his 2003 promise to uphold Roe v. Wade despite his personal beliefs, as well as his prosecution of “Ten Commandments Judge” Roy Moore that same year. However, it is the record of 11th Circuit Judge William Pryor that has some concerned. The American Family Association, Focus on the Family and Family Research Council have all made remarks of opposition about Pryor, as has the Personhood Alliance and the legal group Public Advocate. 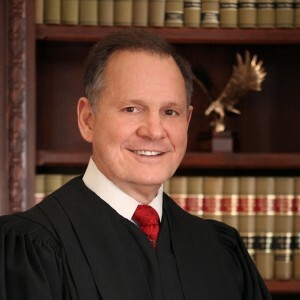 “Not only did Judge Pryor personally prosecute Alabama Judge Roy Moore over his display of the Ten Commandments as attorney general of Alabama, but once he became a federal appeals judge, he issued rulings extending special rights to transgender people while refusing to recognize the religious liberty rights of Christians,” also remarked Personhood Alliance President Daniel Becker. As previously reported, Pryor is most known for his prosecution of Roy Moore in 2003 over his refusal to remove a Ten Commandments monument from the rotunda of the Alabama Supreme Court. In 2000, Moore ran for Chief Justice of the Alabama Supreme Court after serving as a circuit judge in Etowah County. Upon winning his bid and setting up his office in the courthouse, he arranged for a two-ton granite monument of the Ten Commandments to be displayed in the building’s rotunda, which was installed the following year. Days later, the Alabama Judicial Inquiry Commission filed a complaint against Moore. His position as Chief Justice was suspended, and he was placed on trial. Pryor, who then worked as the attorney general of Alabama, served as Moore’s prosecutor. His comments to Moore during the trial focused more on Moore’s refusal to stop acknowledging God as chief justice. “No matter what any other official says?” Pryor asked. Moore was re-elected by the people in 2012 to resume his duties as chief justice. 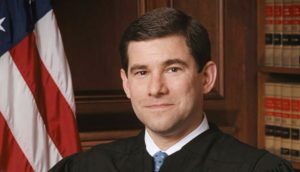 The same year, Pryor, who identifies as Roman Catholic, was nominated by then-President George W. Bush to serve on the 11th Circuit Court of Appeals. 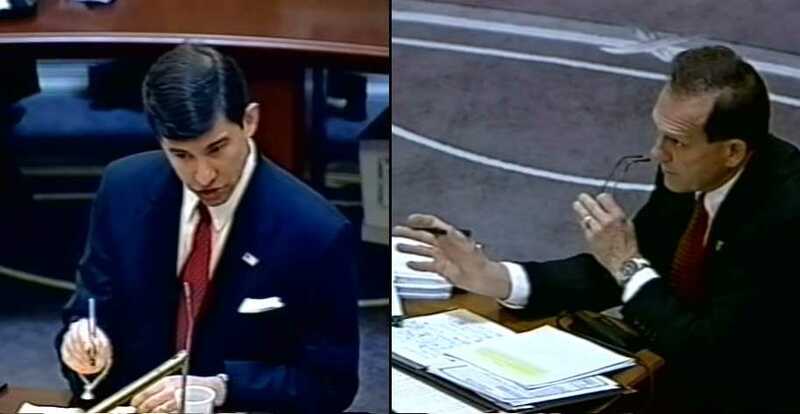 During his confirmation hearing, he advised that although he personally believes that abortion is “the taking of innocent human life” and therefore “morally wrong,” he would comply with Roe v. Wade as a federal judge—and even advised a colleague not to bring that challenge to the Supreme Court in attempt to overturn it. “[M]y record as attorney general shows that I am able to put aside my personal beliefs and follow the law, even when I strongly disagree with it, to look carefully at precedents and to do my duty,” he advised. “So even though you disagree with Roe v. Wade, you would act in accordance with Roe v. Wade on the Eleventh Circuit Court of Appeals?” asked Sen. Orrin Hatch. “Even though I strongly disagree with Roe v. Wade, I have acted in accordance with it as attorney general and would continue to do so as a court of appeals judge,” he said. 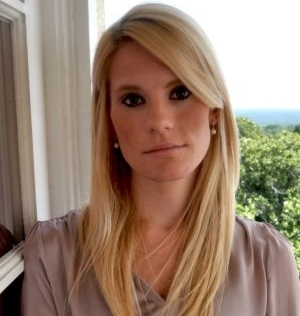 Pryor was also a part of an appeals court opinion in 2011 that refused relief to a Christian woman who had been forced out of her counseling studies at Augusta State University after she declined to go through a “remediation program” that included sensitivity training favorable toward homosexuality. As previously reported, Jennifer Keeton was was enrolled in the university’s Counselor Education Program in 2010 when she was reprimanded by officials for reportedly making statements against homosexuality both in and out of the classroom. She was then told that unless she underwent a remediation plan, which entailed sensitivity training activities such as attending diversity workshops, attending homosexual pride events, writing papers about tolerance and counseling homosexual students, she could not continue in her studies. Keeton states that at first, she agreed to work things out with the university, but later decided that she could not go through with the requirement. Keeton was consequently booted from the program, for which she filed suit. A federal district court ruled in favor of the university, as did the 11th Circuit Court of Appeals. Pryor joined in the decision, and also wrote his own separate concurrence opining that the university was within its right to kick out Keeton. “In the initial remediation plan document, Augusta State identified three viewpoints that the university disfavors: (1) Keeton ‘voiced disagreement in several class discussions and in written assignments with the gay and lesbian ‘lifestyle’; (2) Keeton ‘stated in one paper that she believes GLBTQ lifestyles to be identity confusion’; and (3) Keeton ‘relayed her interest in conversion therapy for GLBTQ populations, and she … tried to convince other students to support and believe her views,'” he noted. The decision has troubled conservative and Christian groups to this day. “Now, let’s understand in practical terms what Judge Pryor’s decision in Keeton v. Anderson-Wiley means; it means he believes the state—because this was a state university—can undertake the forced ‘re-education’ of a Christian and that it could treat anyone with her beliefs the same way,” wrote the ConservativeHQ on Tuesday. “Clearly, such a view of freedom of conscience and religious liberty is inimical to originalism and a constitutional conservative’s understanding of the First Amendment and the limits on the government’s power to coerce citizens to abandon their religious beliefs,” it said. “With his track record, we cannot risk having him on the court as we await the Supreme Court to deliberate on the cases considering the rights of children to be protected in their school bathrooms,” the Personhood Alliance said earlier this month in explaining its concerns about Pryor’s possible nomination to the nation’s highest court. Most recently, Pryor was the author of a ruling that was favorable toward the formation of a “gay-straight” alliance at a Florida middle school.